The past month has been rather busy. In this darkest part of the year, where my instinct is to curl up under a blanket indoors and stay warm while the winds howl and the rain pours outside, I’ve gone against instinct to creatively contribute to my communities close to home. 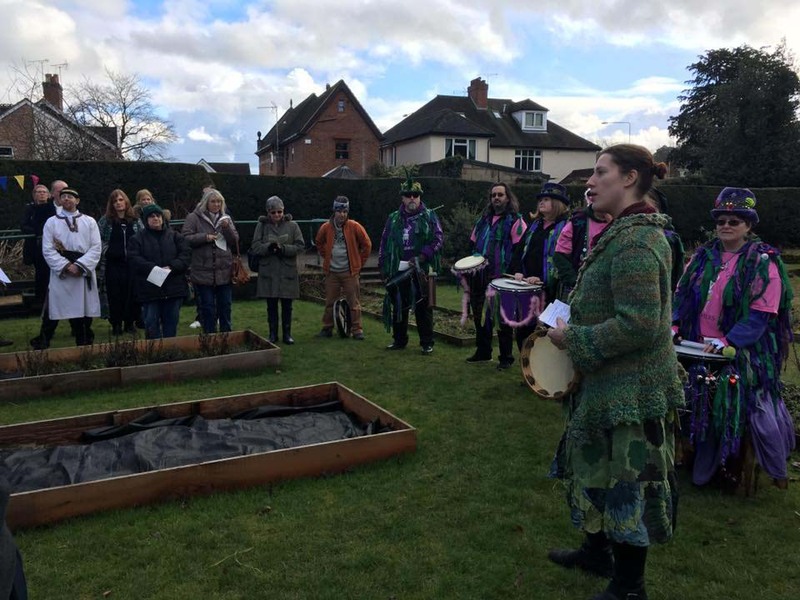 In the last week of January, I once again had the privilege of leading the wassail at the beautiful Secret Garden in Queens Park which is always a wonderful, soul-nourishing event. We sang, we drummed, we woke up Old Man Apple and had a lot of fun in doing so. A few weeks later, I launched my new spoken and sung word event in the centre of Swindon which I’ve named Wonderwords. It can be tiring and a lot of hard work to put together events (either in part or in entirety); I can see why many people don’t get past the instigation phase. I almost didn’t with Wonderwords but then my other half mentioned it to a friend and, well, I couldn’t back out then. I’m glad I made it an actuality, though. I’m increasingly of the opinion that creative communities have a very important part to place in these uncertain, post-truth, depressing days. Marking the turning of the year with traditional folk events full of singing and music not only brings people together so that they are reminded they aren’t alone and are, in fact, part of their community, it also brings people back into connection with the land, the natural and agricultural world, with ‘real’ things to which we are increasingly detached in this digital age. Personally, I find this reconnection really important for my mental health and my sense of not being alone and I hope to be a part of many wassails (incredibly important at the hard part of the year in the grip of the deep winter) and other traditional, calendar-marking events. I hope others find such gatherings equally good for their well-being. Creative gatherings of arty-types (and those who just want to enjoy and listen) are already really important in various ways. They offer a forum for expressing feelings and observations about the world in skillful fashion, for creating portals to other worlds and possibilities to inspire and give respite, for reminding people of the beauty in the world that is worth fighting for, and so many other things too. It seems that less and less value is being found in the creative arts from certain corners of society but I personally see the creative arts as having even more relevant and important part to play in the world today. Which is why Wonderwords came into being and I am glad of that. Creative gatherings don’t need to be big things, though, and there’s nothing that should stop you from building your own if there isn’t already something going on in your local area (if there is then I encourage you to support those events so they don’t gutter and go out in a puff of smoke like a candle without oxygen). On a cold January day/evening you can invite a few friends around to sing wassail songs to your garden. 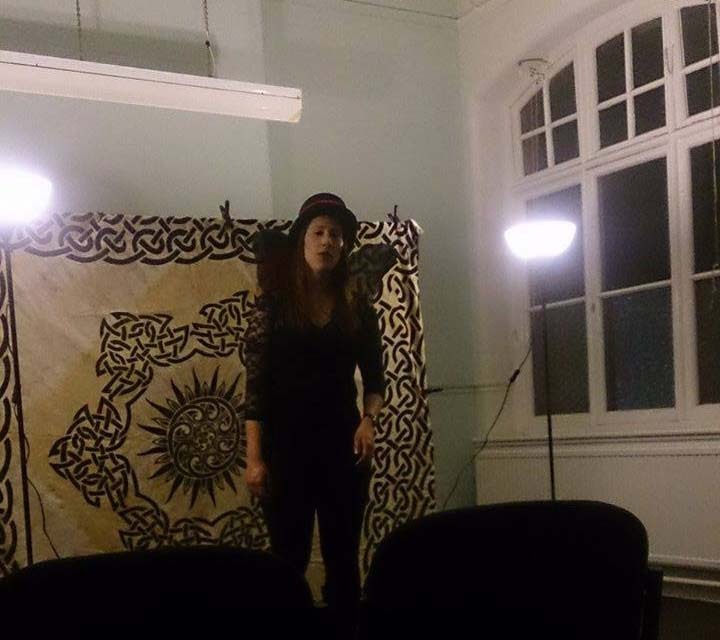 Or, at any point in the year, you can invite a few friends to gather in your lounge or around your kitchen table to share songs, poems, stories and memories and so keep the flame of creativity burning between you without the rigmarole of booking venues, publicising the event and running it. Big or small, seasonal or regular, creative gatherings can be wonderful, fulfilling, emotionally boosting events and I hope that one way or another you can be a part of one (or several) and feel it doing you good.